This was the last of many models over Memorial Day weekend. 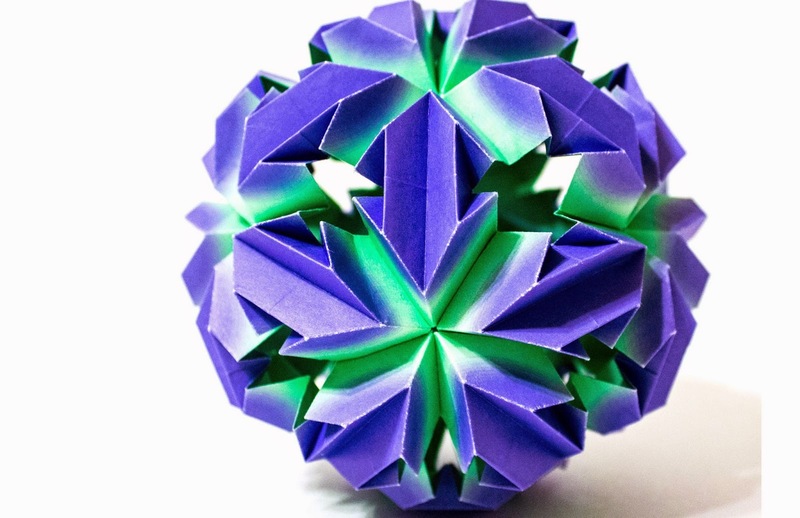 This model is featured in Meenakshi Mukerji's Origami Inspirations. It is made out of 30-units of 3 x 3 harmony paper purchased from Kim's Crane online. I love how the harmony paper worked out with this model. It gives it a real glowing affect.